If you’re looking to purchase a new vehicle, you probably are gearing up for several trips to different dealerships around town. But there is another way: you could use a car buying service. Is it worth it? Well, like most things, it depends on what you’re looking for and what your specific skill set is. 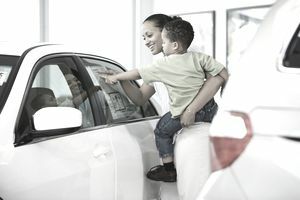 A car buying service will help take a bit of the negotiating responsibilities off of your hands. If you are a terrible negotiator and cave under pressure, using a car buying service could save you a lot of money because the service agent won’t cave to pressure from a pushy car salesperson or the dealer like you might. If you’re willing to spend some time researching deals in your area on your own, you’ll likely be able to beat whatever price a car buying service can offer you. By choosing a car buying service, you might also be setting yourself up to pay extra fees for their time and trouble. Whether or not you choose to go rogue at the dealer or use a car buying service, considering the different options before making a final choice—and it’s also worth taking a look at what your area dealerships have to offer. There are three main ways you can use a service to buy a car while skipping a trip to the dealership: individual brokers, clubs that you already belong to, and car concierge services. A car broker is there to do the messy work of searching for good values and negotiating with dealerships for you. Whether as a free agent or as an employee of a large company, brokers will do their best to save you money on the purchase of your next vehicle. Pros: You often won’t have to pay brokers any fee, or at least won’t have to pay a fee as high as the other car buying services in this list. Cons: Many brokers receive a commission from certain dealerships, so they might not always have your best interests at heart. This makes doing your research all the more important. If you pay to be a member of a large supermarket club or a credit union, there’s a good chance you have a car buying service built into your membership. Typically, this service is provided through an online tool that allows members to search for a specific car make and model. Rather than haggling with a dealership yourself, you’ll have access to pricing that was pre-negotiated by your membership club. Pros: This perk is typically included in what you already pay for club membership. Additionally, professionals who work for the club can suggest vehicles that might work better for you/be available for better savings than the vehicle you originally searched for. Cons: You have to go to the dealership and test drive the car/sign the contract. Unlike more premium car buying options, there’s no door-to-door service. If you’re not good at saying no to car dealerships, you should probably bring a friend who is, because while your car’s price will be locked in, you’ll still be offered additional costly extras before you sign. If you’re looking for a unique car rather than a widely available one, this is probably not the option for you. Pros: Very little legwork for you. Just like the friendly hotel concierge who listens to your needs and then helps you find the best place to eat or sight to see, a car concierge services listen to your needs and then helps you find the perfect vehicle. A car concierge will do all the work of looking for the perfect vehicle, negotiating contracts or final price, and some will even deliver your new vehicle to your front door. Cons: As you can imagine, this service is typically very pricy—often nearly $1,000. There are only a few companies that offer this service and they’ll typically charge you both an upfront fee and a percentage of the savings they bring you. Although the savings they find for you might be worth the steep amount they charge you, it’s worth making sure you know exactly who you’re dealing with before you commit.